A budget done right is a roadmap to the future. Many new and growing businesses aren’t aware of how much detailed work is involved in preparing the data. It’s a lot of effort, but having an accurate plan for the coming year is essential to your company’s success. 1. Have a formal process for peer review. It’s all too common for a budget to be the product a group of individuals in separate offices working independently of each other. This prevents them from taking advantage of their colleagues’ expertise. For example, the new salesperson may be convinced he can increase sales threefold, but a seasoned production person looking at his projections might tell him that even if that were possible, manufacturing could never keep up. It is only prudent to have a second party validate the numbers and assumptions going into the budget. 2. Make sure all the parts fit. Recognize that no matter how big your company is, it is still the sum of many interconnected parts; a drastic change to one area will affect others, and your budget must reflect this. You shouldn’t budget to promote a series of new services if you have not set aside the capital to pay the people who will provide those services. Your team needs to work together to make sure all parts of the budget will work for everyone. 3. Prepare the right reports. This sounds simple, but more often than not, people sit down to complete their budget, get as far as an income statement and call it a day. They multiply the number of units they intend to sell by the price they intend to sell them for, and work with that number. But chances are they will never see that money if they don’t consider a wider range of data. 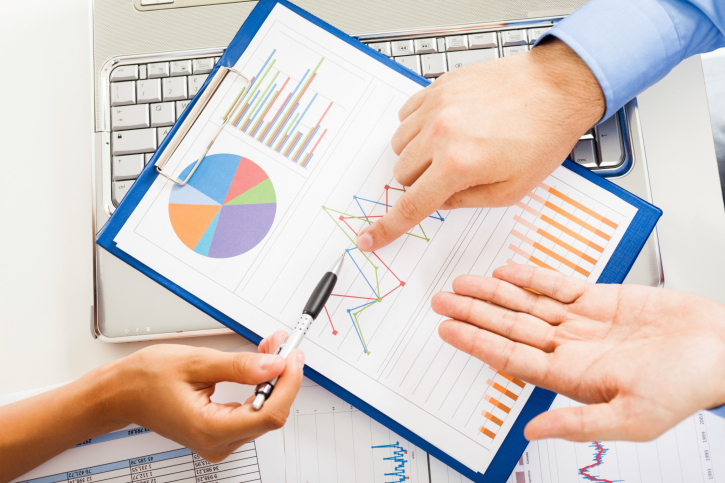 Proper budgeting requires an assessment of the company’s balance sheet and business practices. It is more work, but worth the effort. 4. Budget the capital to fit your growth plan. Growing your business requires more than dreams. A thorough budget will make sure you have the assets in place to realize your vision. Want to sell more products? Expand your plant capacity. Want to expand your product lines? Allot the resources (human and financial) to make sure those great things in the budget can come alive. 5. Monitor actual performance to the budget. This is where the learning takes place and where value is created from the budget process. Even the best-laid plans go awry, and sometimes actual numbers don’t line up with the most meticulous budget. Have a system in place to catch this when it happens and be ready to take action. Time spent understanding why your performance differed from the budget is a great opportunity to learn about your business and is the first step in addressing a shortcoming. Once the problem is identified the solution is frequently close by. Maybe you need to adjust your procurement or adjust the sales cycle for complementary products. Acting on plans and fixing your errors is habit forming and good for business. Don’t be afraid to embrace the budgeting process. After all, success isn’t an accident; it’s planned. And budgeted for!